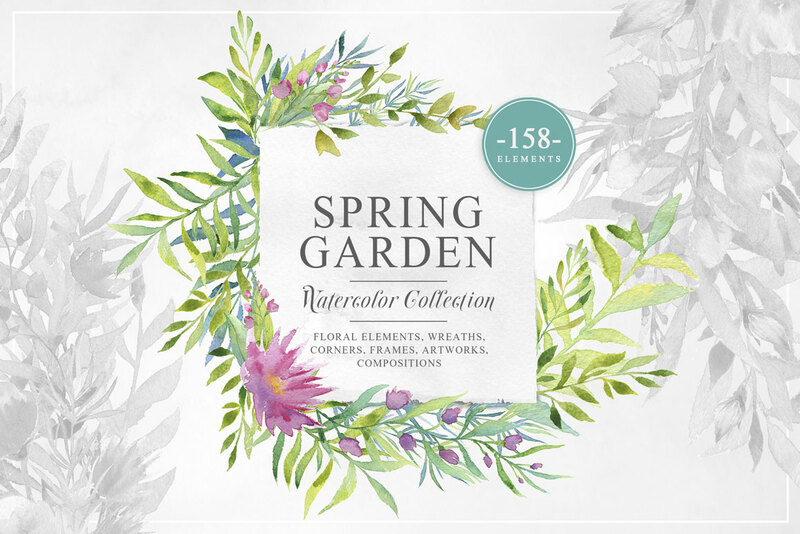 Spring Garden Watercolor Collection - There are 120 different hand painted floral element such as flowers, leaves, branches, combine them in flower compositions to add some unique touch for your print template or design, the possibilities are mostly endless! 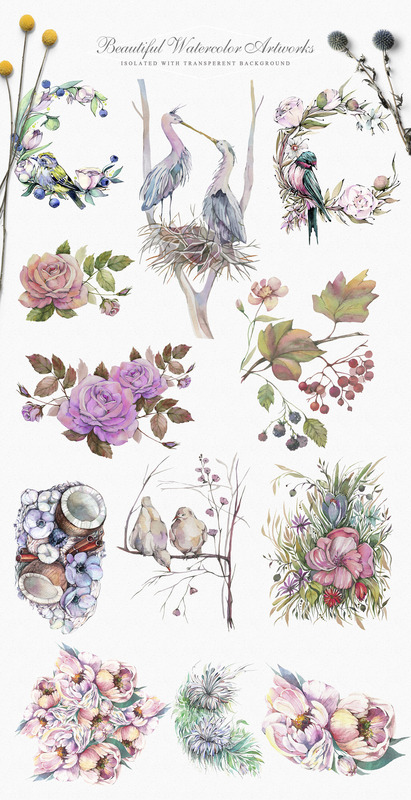 Also you will find 26 pre-made PNG scenes - floral corners, wreaths, frames that can be great addition and final touch for cards, invitations, posters & more. Inside this pack you will find a great bonus files for you! 12 beautiful watercolor spring scenes, fully hand painted! All of the elements,compositions and artworks are super high resolution, up to 14000 pixels! Extended license - Unlimited personal and commercial use.